With international humanitarian funding, INSO supports the humanitarian community with vital coordination and information services that directly sustains life and improves humanitarian access. We are seeking experts as Safety Advisors in Iraq to be based in Baghdad or Erbil. This is a truly unique and rewarding role, and will effectively help bring vital aid to thousands of people that have been trapped and displaced, again, by violence. The Safety Advisors will be responsible for capacity building and management of a supporting operations team and delivery of INSO’s services to INSO members. He/She will combine a strong humanitarian and safety background with experience of a similar country risk context, a clear understanding of humanitarian safety principles, conflict analysis and with a flexible, outgoing personality he/she will be able to interpret and articulate and publish best information and principled, expert advice to a broad range of humanitarian actors. He/She will be able to represent INSO to a diverse and important audience of members, and wide network of contacts including UN agencies, international donors and international organisations to local communities and community leaders, extolling humanitarian principles and good safety practices and throughout seeking and advocating access to those at risk and whose suffering will be eased where humanitarian access can be achieved and aid delivered. The Safety Advisor position is being offered on a 1-year renewable term. Establish and maintain an active network of information resources and to obtain credible and relevant safety information. Provide NGOs with timely and credible information and contextual analysis of the access and security situation through: in face to face, forum, and by phone/VOIP and through daily FLASH alerts, weekly incident lists and bi-weekly analytical reports. Facilitate and lead regular NGO community safety and access roundtables presenting trends and facilitating discussions. Assist NGOs in developing their own security management capacities by reviewing policy documents, and assisting in crisis evacuation planning. Manage a small office team, including supervising national staff, at times remotely. Effectively represent, promote and protect INSO’s own independent, impartial and neutral mandate, uphold humanitarian principles, and promote the strengthening of humanitarian operating practices for improved humanitarian access. Graduate level education or equivalent work experience. Proven writing and analytical abilities (sample required). Demonstrable understanding of humanitarian safety practices & principles and their application. Credible time spent in insecure/conflict-affected environment. Employment history that reflects experience in both security and civilian humanitarian fields. 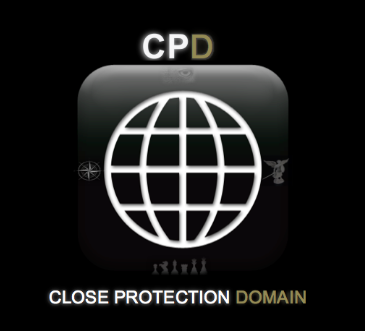 Experience with NGO security and/or project management in insecure environments. Interested persons are requested to send the following to jobs@ngosafety.org no later than 17:00GMT on the 30th of November 2015 and ensure to reference ‘INSO Safety Advisor-Iraq in the subject line of your email. Only shortlisted candidates will be contacted. Cover letter specifying how you meet the mandatory requirements, your motivation in applying and what you hope to bring to INSO (1 page maximum). Up to date CV (5 page maximum). One relevant and substantive writing sample in English which demonstrates your analytical and reporting ability (10 page maximum).